Perfect logistics are the fast track to success. 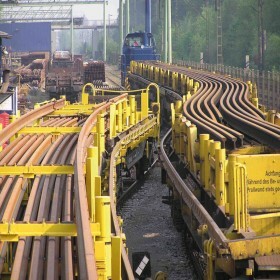 Vossloh employs intelligent solutions that take customer requirements and infrastructural limitations into account. 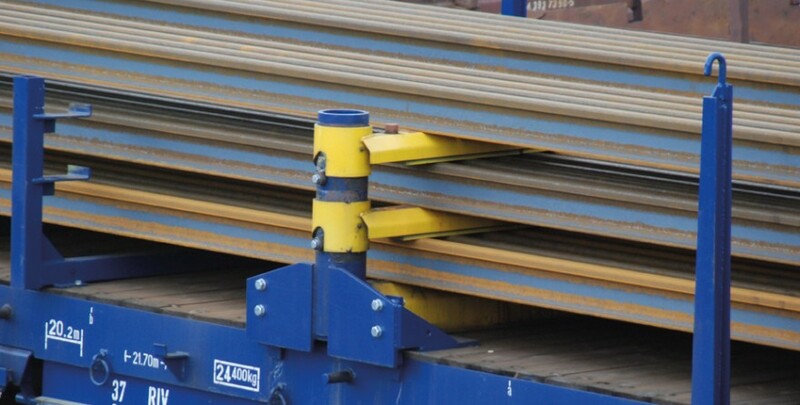 We have the resources and flexibility to deliver new rails to construction sites just in time. 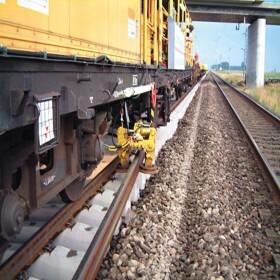 Relocating rails for direct reuse or loading and removing old material are also included in our portfolio. Complex and comprehensive rail-bound logistics comprising work locomotives, foreman shunters, logisticians, freight cars, road-rail vehicles and much more are in good hands with Vossloh. 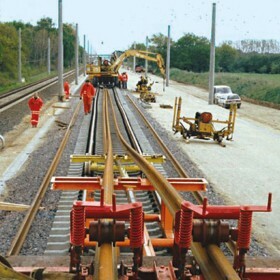 Alongside the just-in-time deliveries of track system materials, we also organise the loading activities, work locomotive deployments and site shunters. We order the necessary train schedules and routes, assist with the internal logistical execution of construction projects and make sure that track space is leased for temporarily parked or additional transport units. We also organize and monitor just-in-time haulage across international borders. 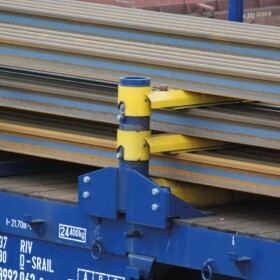 STS long rail transport units are equipped with loading racks and rail stabilizers. 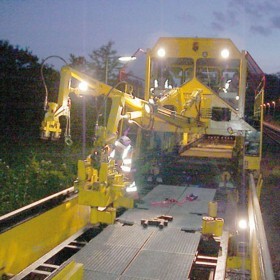 These long rail transport units (LSEs) form part of the Robel system, which comprises LSE and SLW rail loading vehicles.